I can’t believe it has been so long since I blogged! But I have been busy wrapping up some swaps, finishing some orders and getting ready for an art show which is on Saturday. I also finished a mini quilt for the MiniQT Swap, on Flickr. The theme was 3D. My partner, sew-amy, has a nice collection of these VW Vans……what a lucky girl!! This is my dream car! I was also in a private swap with mamacjt with an Easter theme. She had hinted that she liked this design that I had done on a journal cover, so I added her name to it. Carol is always making others quilts with their names, so I thought she needed one for herself. 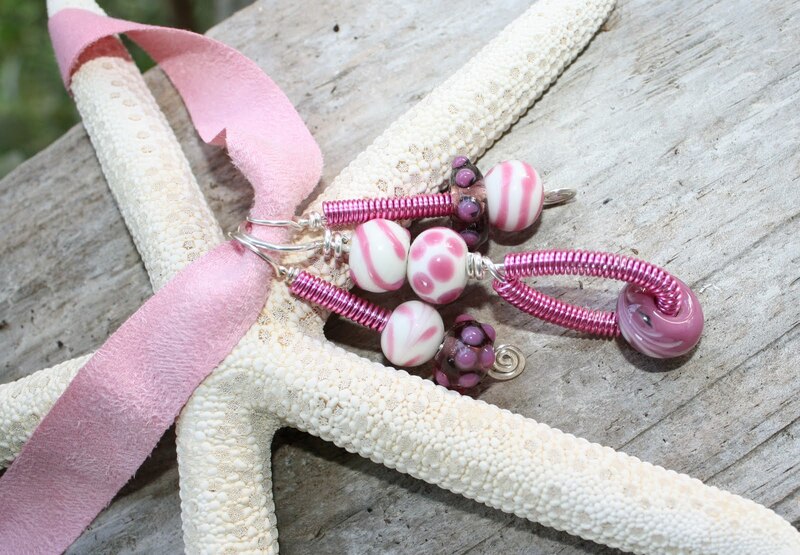 a set of three pendants for a mother and her two daughters. Incase you dont know, Potcakes are our local *mutt*, and I am involved in rescue here to give them a better life. Back to work for me. I have three days before the show on Saturday, and tons of this and that to do! 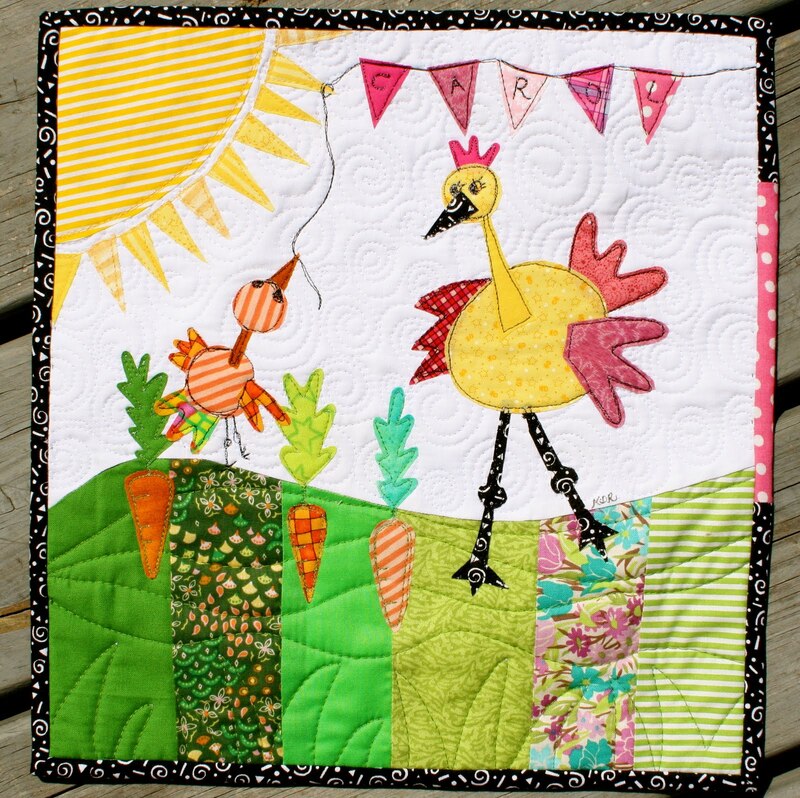 This entry was posted in art quilts, doll quilt swap, jewelry, potcakes. Bookmark the permalink. ← I Think I Got It! Oh, I love the VW van quilt. It brought a smile to my face. I love the colors that you used too. Kimberly you make Really Beautiful things!! I wish we lived closer gf! Yummy work as always! 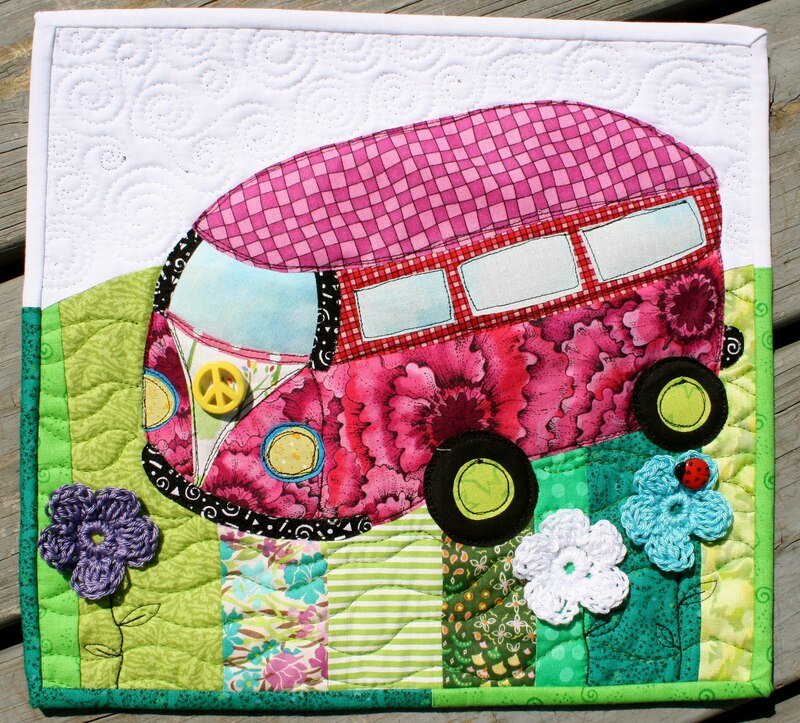 Love the VW quilt – very cute and cheery. I received my little zippered purse yesterday and LOVE it – big thankyou! 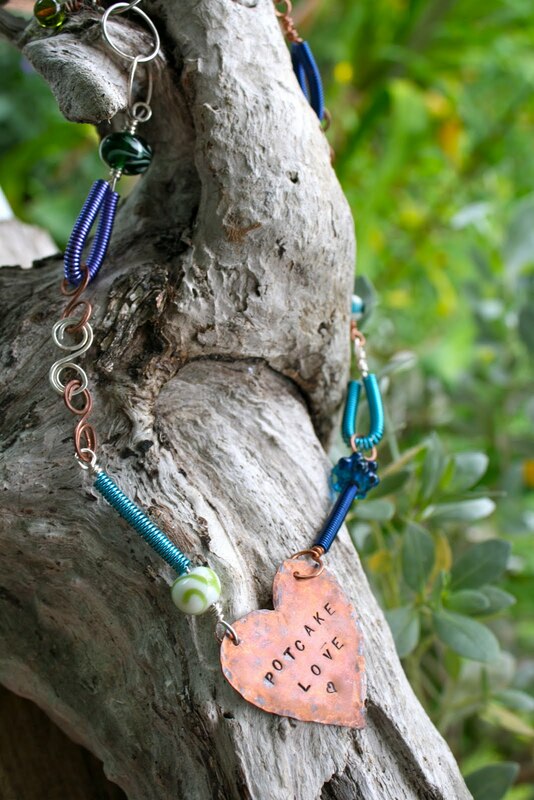 I will be doing my own Pay It Forward post tonight. The purse arrived as I was heading out to my quilt group meeting so i was able to share it with them and we checked out your blog at the same time – more fans for you! Happy creating! OMG I just got home from vacation in Turks & Caicos to find your package! OMG IT IS SO PERFECT, SO BEAUTIFUL, SO ME! I love it! How in the heck did I miss it when you posted progress pics?! I love it. The work is amazing. I love all the goodies too. The green island fabric is perfect for me! I'm collecting greens for a quilt for my middle son (6 yrs old) and my husband and I scuba dive and have a 90 gal reef aquarium. Fish lovers! 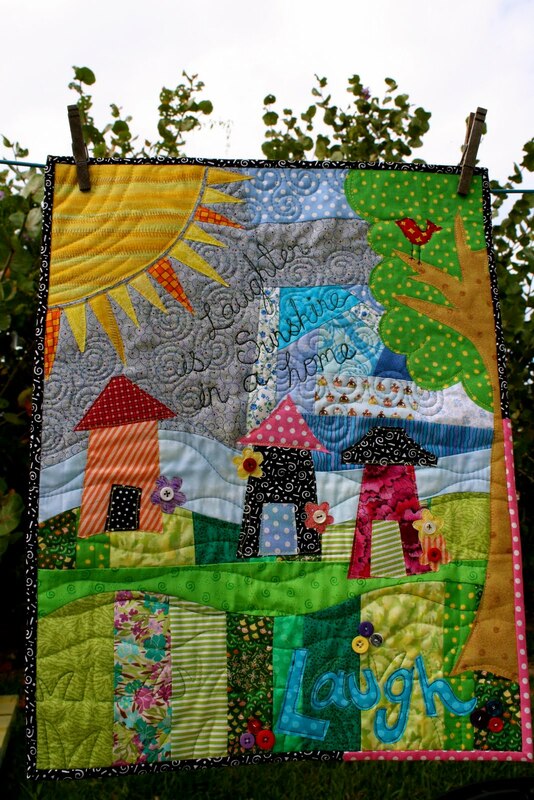 I am LOVE your quilts…they all make me smile. Oh my goodness!! Those quilts are absolutely adorable! I LOVE them!! Kimberly–I just wanted to say thank you for nominating DIrty Footprints Studio as one of the juicy blogs in Britt Bravo's contest. I am so, so touched–and I also want to say thanks for all the supportive comments you leave on DFS too!! Sending you loads and loads of LOVE!!! !